Relax and unwind in this spacious 4 bedroom holiday home at Tabourie Lake on the beautiful south coast of NSW. With its idyllic beaches, great fishing spots, kayaking, snorkeling, surfing and bushwalking just moments from your doorstep, "Elim", near Lake Tabourie's foreshore is arguably one of Australia's best kept holiday secrets. The Ulladulla district boasts beautiful surfing beaches, pristine natural estuaries and lakes, a magnificent Harbour and the surrounding national park Budawangs and the iconic Pigeon House Mountain. Located opposite Lemon Tree creek and just a short walk from the lake, Elim captures all the charm and hospitality of Tabourie Lake where the bush meets the sea. Explore unspoilt coastline, throw in a line or savour the delights of nearby wineries, cafes and restaurants; it's the perfect escape from the hustle and bustle of city life. Featuring 4 bedrooms, a large open plan living area, well-equipped kitchen, outdoor living & gourmet barbeque, perfect for alfresco dining, Elim caters for up to 10 people and is tastefully decorated throughout. Doonas, pillows and tea towels are supplied. Please bring your own linen and towels (can be supplied for a nominal fee). Discuss bringing your pets on application. Stunning stretches of coastline and natural foreshore provides a perfect backdrop for beach walks, swims, picnics, fishing and surfing. At low tide, explore Crampton island and the abundance of coastal bird and sea life; fish from the rocks or snorkel the clear blue water adjacent to the island. Calm waters near the island are perfect for little peoples swimming. Venture north along Wairo beach or south along Meroo beach and you'll find some great surf breaks that are popular amongst locals and tourists alike. Bushwalking, 4 wheel driving, horse riding, golf, gallery hopping, dolphin watching, cinemas, boutique shopping, wineries and fabulous cafes are located nearby. Tabourie Lake is located approximately 3 hours south of Sydney or 2 1/2 hours east of Canberra, off the Princes Highway. 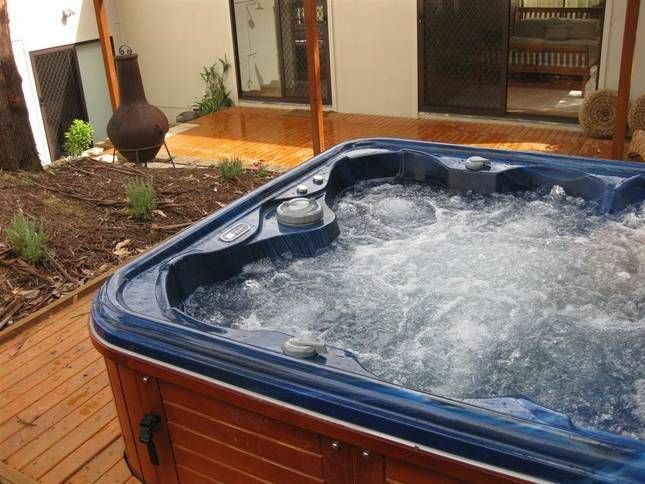 We stayed at Elim coast house during off peak time in winter- hot tub and fireplace was lovely. Location was close to dog friendly beach and not far from ulladulla shops. We only wish we had booked for longer and we will be back to experience it during summer! The property definitely needs some maintenance and a good clean. Elim is a wonderful place for a relaxing getaway. Set amongst a leafy garden this house provides privacy and comfort. There are hammocks, comfortable lounges, a pool table and outdoor spa. Lake Tabourie holds a special place for our family and it was wonderful to spend some time here. It is still the best beach in Australia! We’ll definitely be back! We booked Elim as a family holiday with 7 adults and 3 baby/toddlers. We all had to travel between 5-10 hours to get there. Unfortunately on arrival at 2pm the property was not cleaned at all. There was an uncontrollable issue with the cleaner but the backup person did not arrive until close to 5pm but for a large house it was going to take a while. We couldn't unpack or go shopping, my MIL tried to clean a little so we could sit down. The owners did ask us to go out to dinner on them but after travelling all day not everyone wanted to. The house was eventually 'available' by 9pm which is very late for 2 x 1 year olds. Although the owner refunded dinner for those that went I don't believe it was enough to compensate the poor start to our holiday. Overall the house is great, big rooms, great living and entertaining areas. The beach/lake is not as close as expected, especially with young children and is even a bit of a walk from the car park. This house accommodated perfectly for three couples and two small children. This spacious home within walking distance to the river, beach and park made for a relaxing weekend away. The spa and pool table were a great bonus, as well as all the little additions like board games, DVD's, hammocks, and dinosaurs for the kids. It definitely had the 'home away from home' feel!